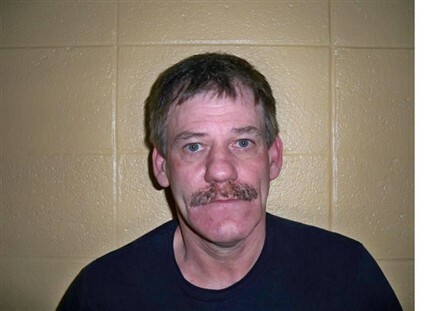 Fugitive Billy Wayne Hall is jailed in Christian county after being apprehended Tuesday evening at a home in Taney county. Christian County Sheriff Joey Kyle says authorities had been watching a residence for several weeks, and finally received information that Hall was there. Charges may be pending against those who allegedly harbored Hall, who is jailed on $300,000 bond. Hall is charged with second degree murder in Christian County in connection with the death in 2003 of Freda Heyn. Heyn’s skull was later found in the Mark Twain National Forest. Hall’s former sister-in-law, Paula Hall, was convicted of second-degree murder in February in connection with Heyn’s death. Hall had been arrested for the crime in 2006, then released due to lack of evidence. Charges were re-filed in late February. The arrest Tuesday evening was made by members of the U.S. Marshal’s Fugitive Task Force, which includes deputies from Christian, Taney, Greene and surrounding counties.